This back-to-school freebie is a great resource to help build classroom community. 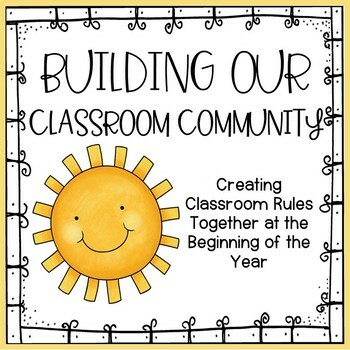 Your students will work together to discuss why having classroom rules are important to having a safe and supportive classroom enviornment, and have the opportunity to work together to create the rules of their classroom. Print out a packet for each student. Students will have an opportunity to reflect on why having classroom rules are important and get to work with multiple members of their new classroom!